As the nation’s largest healthcare linen provider, Angelica provides quality services to hospitals, clinics, and long-term care facilities. Angelica stands out among other medical linen service providers because of our extensive experience coupled with our advanced and innovative products and services. Angelica is dedicated to finding linen solutions and services which fit your particular facility’s requirements. 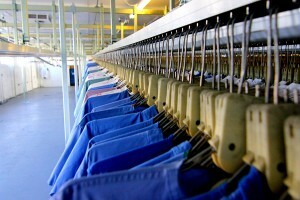 Allow us to do the work for you to ensure the most efficient and cost-effective linen management program. Angelica offers a complete outsourcing solution to support linen distribution within acute care facilities. 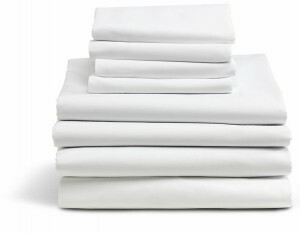 The Angelica team distributes clean, fresh linen to end-use consumption points daily. Angelica’s Linen Distribution Program improves order accuracy and completeness, timeliness of delivery, and resolution of ALL issues. The linen manager and his/her team will focus on inventory control, quality control, and timely distribution schedules, which can result in a savings of up to 10% of your total linen spend. 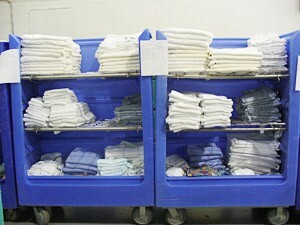 Angelica offers pre-made linen exchange carts to simplify your distribution process in high consumption areas. Our pre-built carts help ensure that assigned PAR levels are being followed and help eliminate overstock and over usage, in turn working to lower your overall linen costs. The Exchange Cart Program will free up hospital personnel’s time by alleviating time needed to count and fill carts in designated units. Once the exchange cart program is set up and followed, it offers ways to reduce labor, space requirements, and waste opportunities, thereby strengthening the efficiency of the overall linen program. Angelica offers an extensive garment/scrub management system (laundering and management) with an array of products to fit your staff’s needs. The program offers the flexibility to adjust to fluctuations on your facility’s needs. Our garment program features a Closed Loop Inventory Management System utilizing barcode and/or RFID Technology. Every barcode/RFID Chip identifies a specific item for your facility that can be tracked from your facility to our laundry and back. This system offers the possibility to generate reports that can help you analyze and implement corrective actions to minimize loss. Whether a bulk or personalized program is needed, we have the right solution for your facility. Angelica offers a mat cleaning and disinfection program (pick-up, laundry, delivery, and distribution) that relieves the facility from the burden of cleaning mats regularly to remove dirt and harmful bacteria. 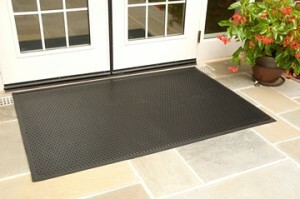 We maintain and can provide documentation to ensure your facility’s mats are properly and regularly cleaned on a customizable schedule. 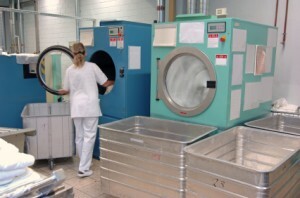 Angelica offers a full laundry conversion program to monetize your non-core assets by outsourcing your linen service.Our program is designed to free resources for other purposes within your facility and provides you greater leverage by utilizing Angelica’s technologies, innovations, and specialized professional capabilities that are prohibitively expensive or even impossible to duplicate internally.Angelica’s turnkey solution give you the opportunity to improve your return on investment (equipment and linen), your business focus and your business position by eliminating maintenance and capital equipment replacement costs. Angelica will provide a comprehensive report in the form of an economic evaluation that outlines the financial impact of converting your laundry. Angelica offers a comprehensive privacy curtain solution from installation to management & laundering. Our AngelGuard™ program helps protect your patients and staff from the risk of infection.For high infection areas, where curtains need to be changed more frequently, we offer recyclable privacy curtains installed on a system that allows your staff to safely change them out in less than 30 seconds!In general patient rooms, textile privacy curtains are high-touch surface areas that should be laundered and disinfected at least once a quarter. Whether you need curtains laundered after every patient, monthly, or quarterly, we can customize a laundering program for you.Best of all, AngelClean®, our disinfecting laundering process, disinfects your privacy curtains, resulting in curtains that are 100,000 times cleaner than the industry standard. Angelica offers medical linen rental services; however you may also choose to purchase your medical linens from us and still take advantage of our comprehensive healthcare laundry service.